Havelock’s Sports Club claim to the league championship was decided even before yesterday’s match against the Navy. Just as much as the emergence of Havelock’s is sweet music to most rugby lovers the dissemination of hate mail has begun by some others. It is another part of our system to build another story that would possibly disturb the balance. The drubbing Kandy received at the hand of Havelock’s is something that will never be understood by the hill country club who has never tasted the pain of defeat in the last few decades. This is a drought feeling for Kandy who has lost the league championship after eleven years can be eclipsed only by the previous week’s pandemonium. The cup finding its place at the Park Club was sealed as Navy went down to Upcountry Lions in a high scoring match by 38 points to 46. The league has produced a new swing in the game and� number one spot in recognition goes to the park club. The difference was that they played as a unit which up to this time was the pride of Kandy. Though beaten and out of the cup Kandy and Navy have been able to retain their position in the league as well as local rugby. Both clubs for similar reason attract a love hate scenario from rugby supporters. Havelocks beat Kandy by 50-19 last week, after 17 long years and are guaranteed with the League title. 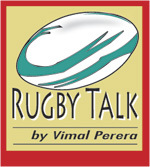 It was Kandy that started to attract players form Colombo clubs and weave themselves into a formidable unit that ruled rugby for a period of around two decades. Navy Sports Club in building their side embarked on a similar journey. Incidentally another side that found all ears focused were the Upcountry Lions whose advent too was much talked of as they are based in Nawalapitiya the haven of the Minister of Sports. Having beaten Navy in what was a thrilling encounter with tension through the game they too have stood up to be recognized.� Then again the stories never stop. Having attained age they need to settle down and show the maturity of a champion side than to be seen as a team that keeps whining while losing focus. We have at different times seen teams who thrive on commenting on referees ending up in the dustbin with players not correcting their mistakes. Whether it is the foreign or locals there are always a tale to be told. The task of the leaders is to lead but when that is abdicated to being guided by emotions the focus is lost. What is happening at the national level is no different to the past. It is a few weeks to go when we are to take part in the Asian Sevens. How much and who will we be prepared is comparative to reaction to events as in the past as against a planned march to meet the enemy.� Efficiency is an input output relationship such as conducting the league whereas effectiveness is the trek to achieve the goal of being among the best in Asia. This does not come into the rugby radar as there are more small things that take time. The Army seems poised to annex the plate and will be a side to watch as they are good spoilers and have the capacity to run the ball when they have possession. The team consisting of rookies has done well to minimize penalties at the tackle, ruck and maul but have a tendency to give away penalties in general play.� Army had a field day in their game against CR as they virtually annihilated their opponents in the first twenty minutes. The red shirts looked a hapless ordinary side meandering along. The fate of CH in the top league is nothing but “will be there “as there is no relegation with B sides confined mostly to the second side of clubs there are no newcomers trying for a place in the top league. From a perspective of being challenged and promotion of the game there is no tier for a team to make their presence felt and make a claim to be among the A division teams. The first year of the council has passed the halfway mark but we are yet to see anything happening to see another club develop other than the advent of the Upcountry Lions born out of the system. There is a cracked B division in progress and rag tail C division comprising mostly of many teams from the services.� Matches are cancelled or postponed as there is little structure. The only light that was seen was the ladies rugby tournament worked off a few weeks ago where Army, Air Force and Navy teams were dominant and the rugby was better than last year. One however did not see the force of ‘Slimline’ which was quite powerful a few years ago. Neither were the ladies from KV in strength as most had found places with the forces sides. At least we could be proud that rugby has paved a way for them.� There were many newcomers that were still unused to the game but the spirit of participation was with them. Havelocks forward Ashen Karthelis progresses despite being challenged by Navy players. - Pic by Ranjith Perera.